South San Francisco's KaloBios Pharmaceuticals announced on Monday that Martin Shkreli was "terminated" as chief executive officer and had resigned from his board position. A new replacement was not named. CNBC reported that KaloBios, a biotech company, hasn't traded since last Thursday, minutes after news of Shkreli's arrest in New York on securities fraud charges was made public. Despite that, at 9 a.m. Monday morning, KaloBios' November announcement of appointing Shkreli as CEO was still prominent on the company's website. 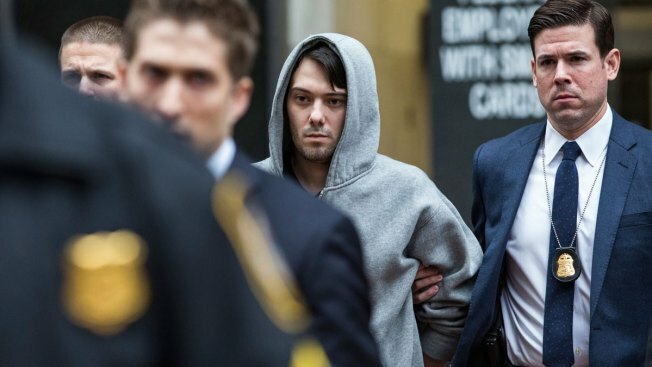 Martin Shkreli was appointed as CEO of KaloBios in November 2015 and fired in December 2015. KaloBios' move comes after Shkreli resigned from being the chairman of the board another company, New York-based Turing Pharmaceuticals that he co-founded last year. In a Saturday tweet, Shkreli said that the fraud allegations against him are "baseless and without merit." Shkreli tweeted Saturday: "I am confident I will prevail." However, his Twitter account also had been hacked over the weekend, CNBC reported. The 32-year-old former hedge fund manager pleaded not guilty Thursday in Brooklyn federal court and was released on $5 million bail. Prosecutors say that from 2009 to 2014, Shkreli lost some of his hedge fund investors' money through bad trades, then looted a pharmaceutical company where he was CEO for $11 million to pay back his disgruntled clients. Shkreli was already widely reviled because a drug company he founded raised the price of a life-saving drug from $13.50 to $750 per pill.